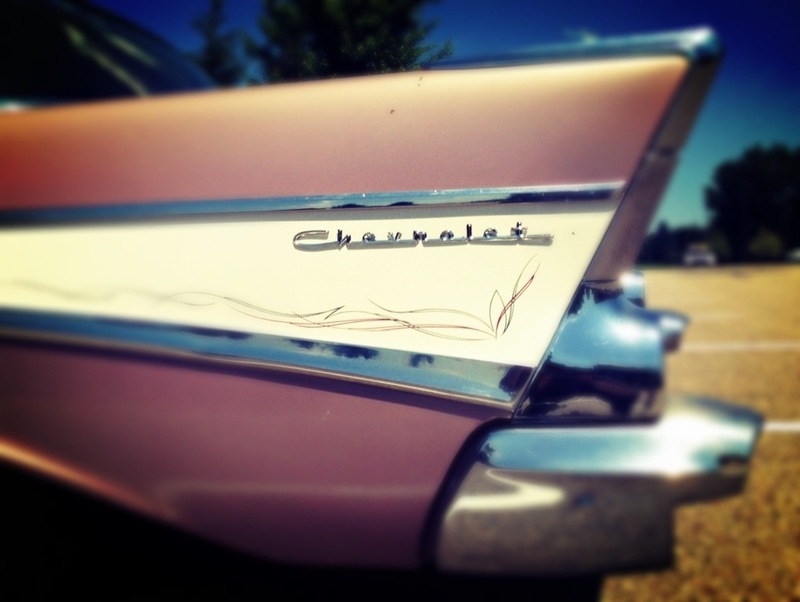 At least, I think this classic car parked in the office parking lot this afternoon was a 1957 Chevrolet. She was a beaut. This is day 184 of Photo 365. [ Smiles ] Wow! An American classic! [ Smiles ] Indeed! Talk about being in the right place at the right time!